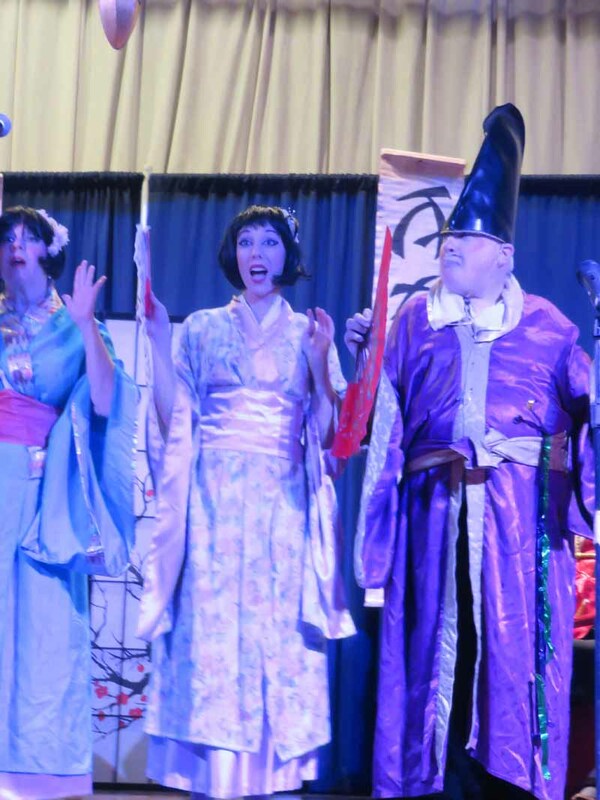 When the Gilbert & Sullivan Yiddish Light Opera Company takes the stage at Temple Beth-El of Great Neck on November 6 to perform a production of Der Yiddisher Mikado, not only will the cast come together to delight the audience with its unique spin on the classic comedic opera The Mikado, but the show will mark the first time the three oldest temples in Great Neck have joined forces to present such a performance to the public. 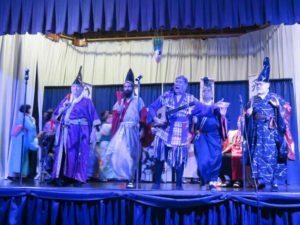 The historic collaboration between Temple Beth-El, the Great Neck Synagogue Men’s Club and Temple Israel of Great Neck started as an idea by Jodi Engel, an administrative assistant and assistant to the associate rabbi at Temple Israel. 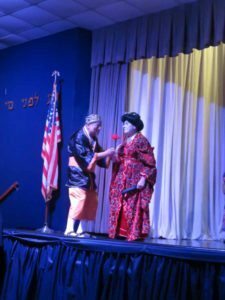 After reading an article about the opera company, Engel realized that bringing the hilarious production in English and Yiddish to Temple Israel might be a good idea for a fundraiser. 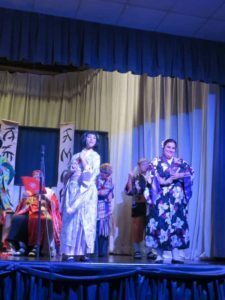 When a temple member contacted her with similar thoughts, she was convinced. 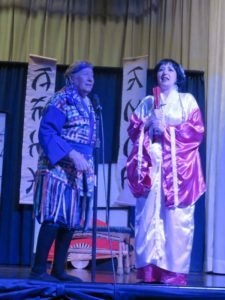 Engel brought up her proposal during a meeting with Executive Director Leon Silverberg, and he agreed. 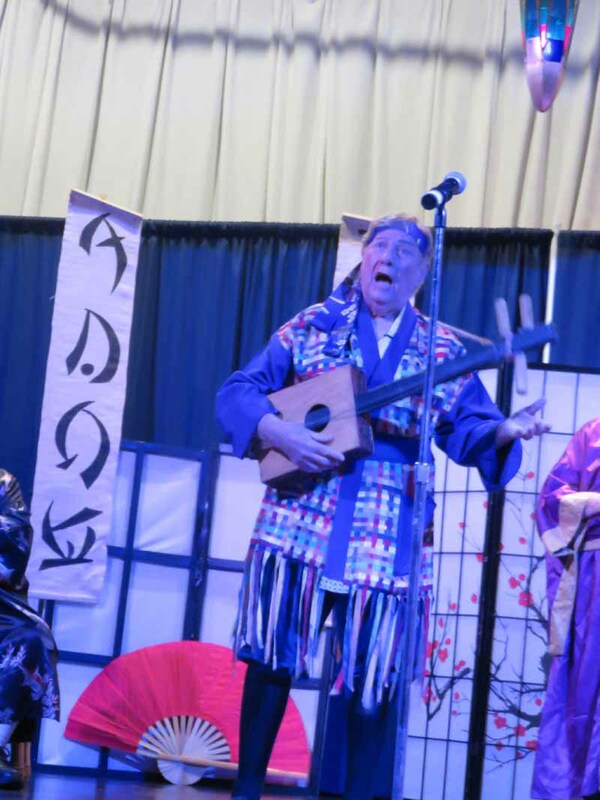 Because the performance would be in Yiddish, which Silverberg describes as the “universal Jewish language,” both he and Engel felt that the production’s appeal would stretch farther than just their own congregation. 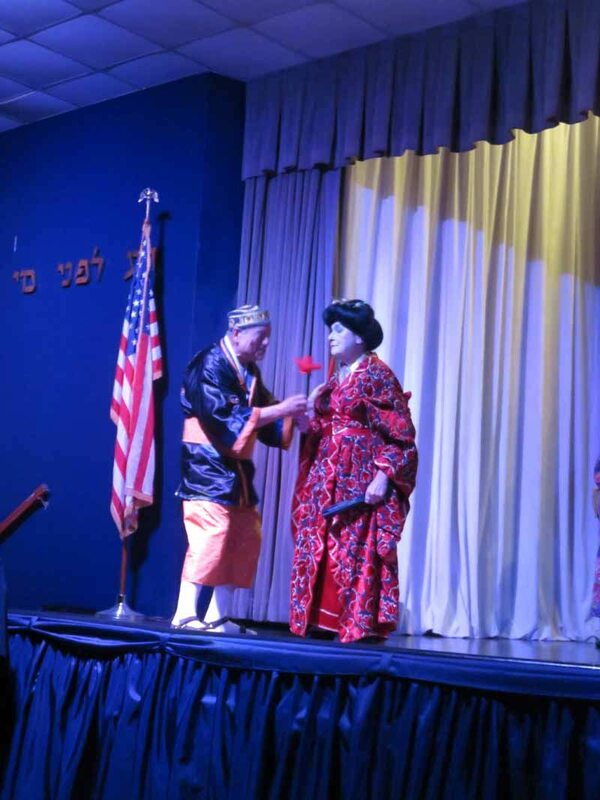 With that in mind, Engel reached out to former colleague Stuart Botwinick, now the executive director at Temple Beth-El, and Hilly Milun, president of the Great Neck Synagogue Men’s Club, to see if there would be interest for a joint venture between the synagogues. 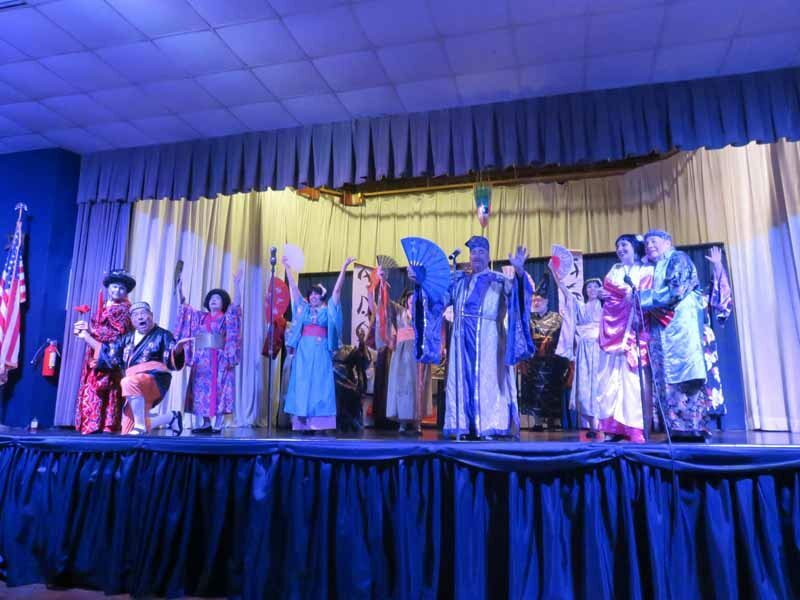 Milun knew right away that the performance would attract his congregation, recalling that his synagogue used to send “busloads” of congregants into the city to see Yiddish theater in the past. 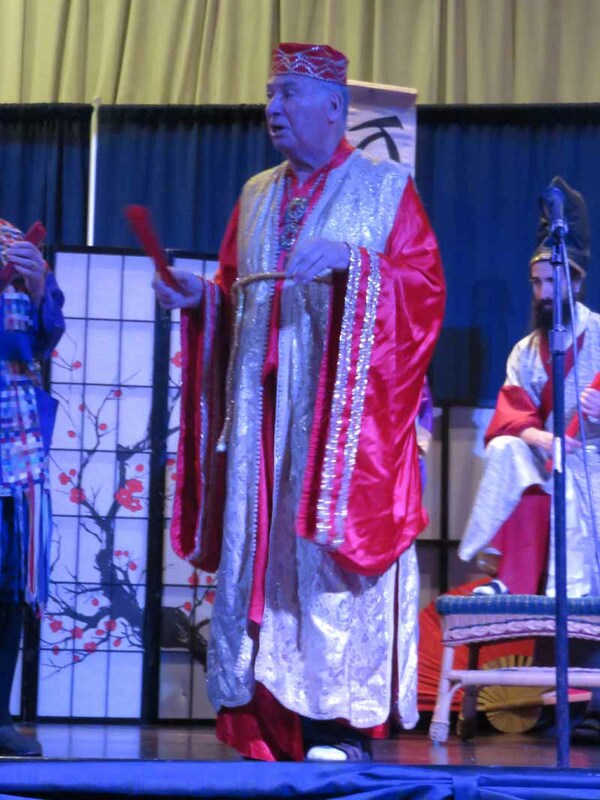 Botwinick also expressed his enthusiasm for the chance to unite the temples—and the local Jewish community. 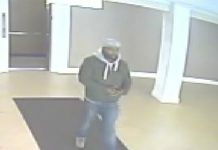 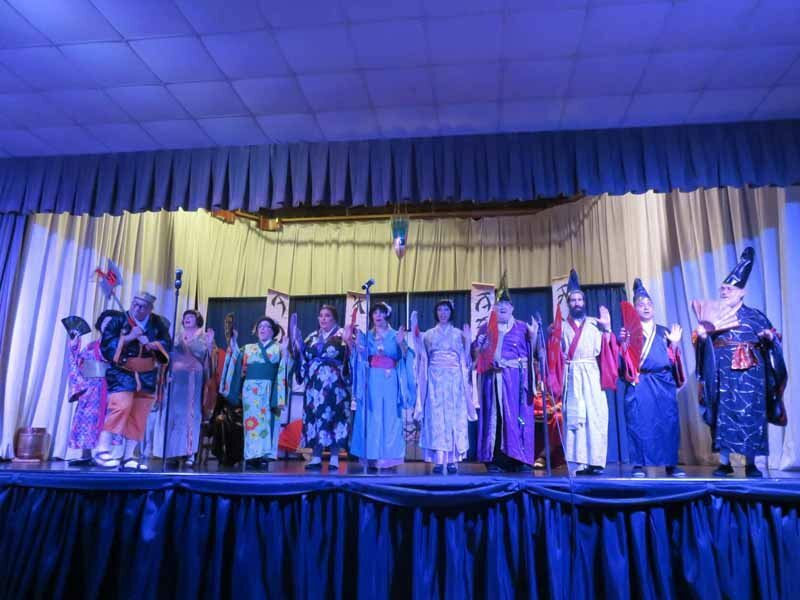 The differences in observances among the three temples, which are all located on Old Mill Road in Great Neck, have been what has prevented them from presenting events of this caliber in the past. 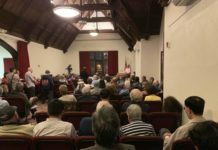 Temple Beth-El, the oldest temple in Great Neck, which opened its doors in 1928, is a Reform temple. 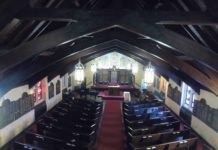 Great Neck Synagogue is home to the first Orthodox synagogue in the area and Temple Israel, which has the largest congregation of the three, is Conservative. Before their partnership to bring Der Yiddisher Mikado to Great Neck, the sole event that has brought the three congregations together has been the annual Rabbinic Dialogue. 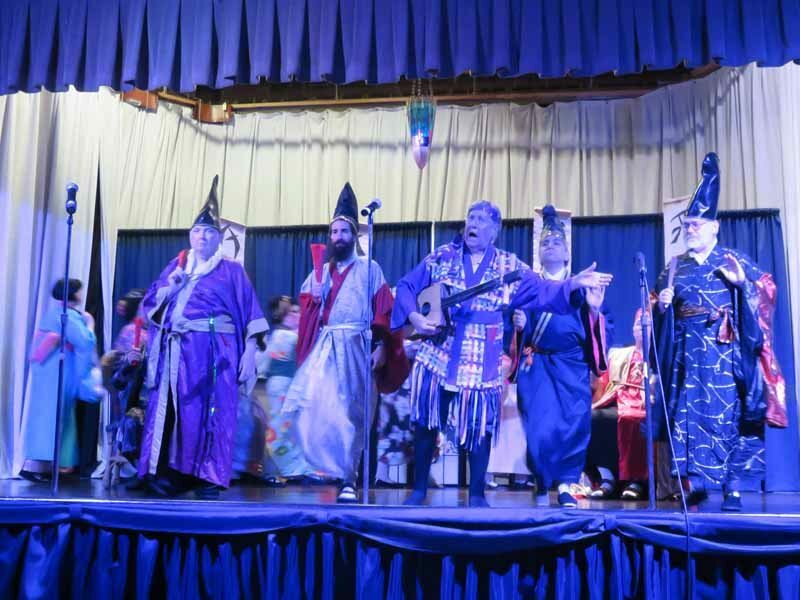 The event, which is hosted by the men’s clubs of the trio of temples and held at each shul on a rotating basis, offers each of the synagogues’ rabbis a forum to discuss a wide range of topics in front of an audience and answer questions from the attendees. 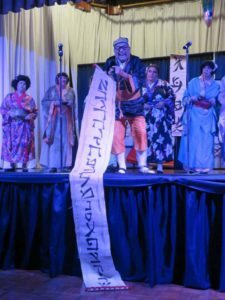 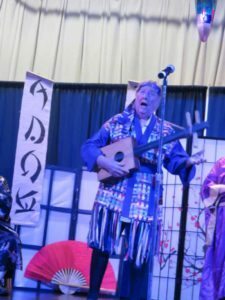 While the upcoming production might not be as interactive as the forum, what the Gilbert & Sullivan Yiddish Light Opera Company will achieve on the stage promises to be a unique and entertaining experience for all who come to see the performance. 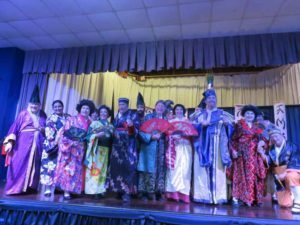 The company has been staging its niche productions of Gilbert & Sullivan staples, also including Pirates of Penzance (Di Yam Gazlonim) and H.M.S. Pinafore (Der Yiddisher Pinafore), since the 1980s. 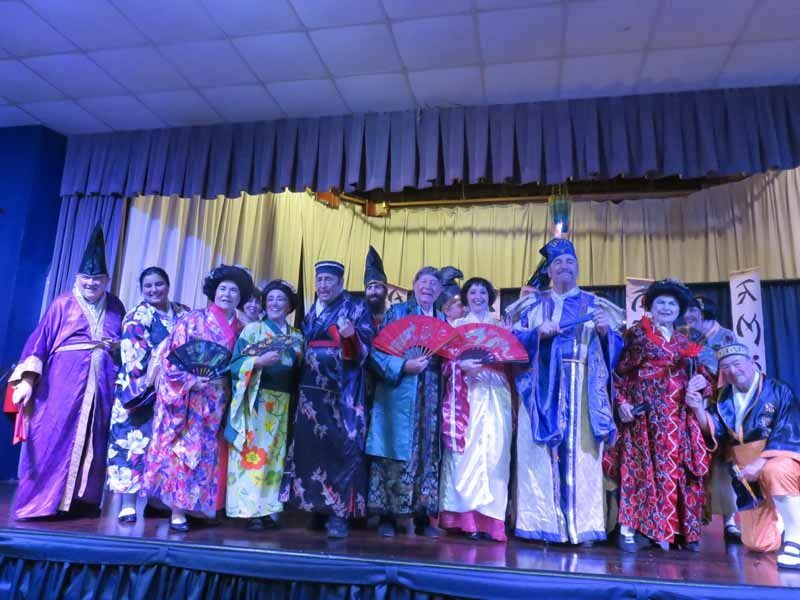 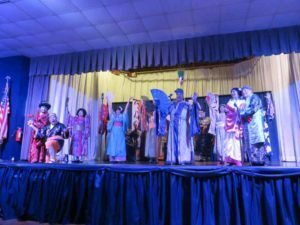 All performances include the well-known characters singing and speaking in both Yiddish and English, and feature beautiful costumes and bright, colorful sets. The opera company produces its own original cassettes and CDs of the performances and has traveled across the globe putting on shows for eager audiences in New England and Miami to Toronto and Winnipeg, Canada, and even in London, England. Now, on the first Sunday in November, they will add Great Neck to the list. 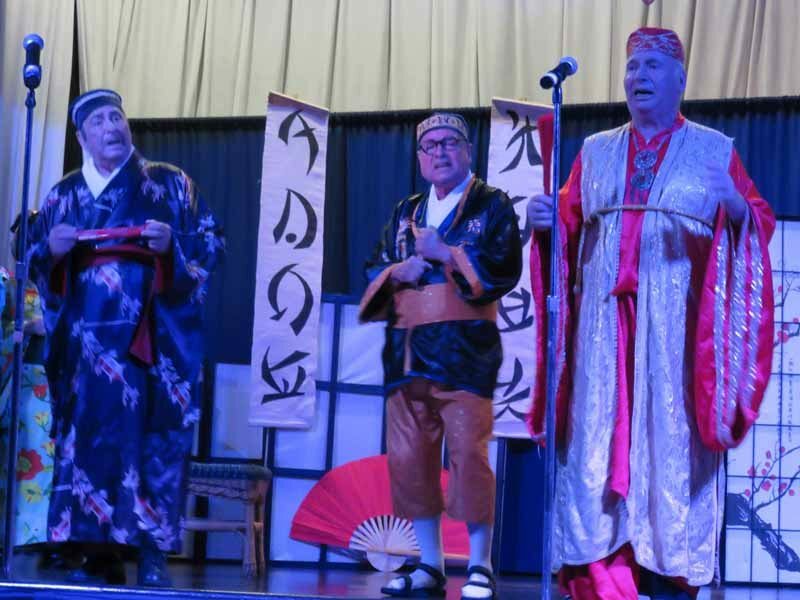 Even though the three temples might not share the same level of observance, Temple Beth-El, the Great Neck Synagogue Men’s Club and Temple Israel realize that it no longer has to inhibit their congregations from coming together for more shared experiences. 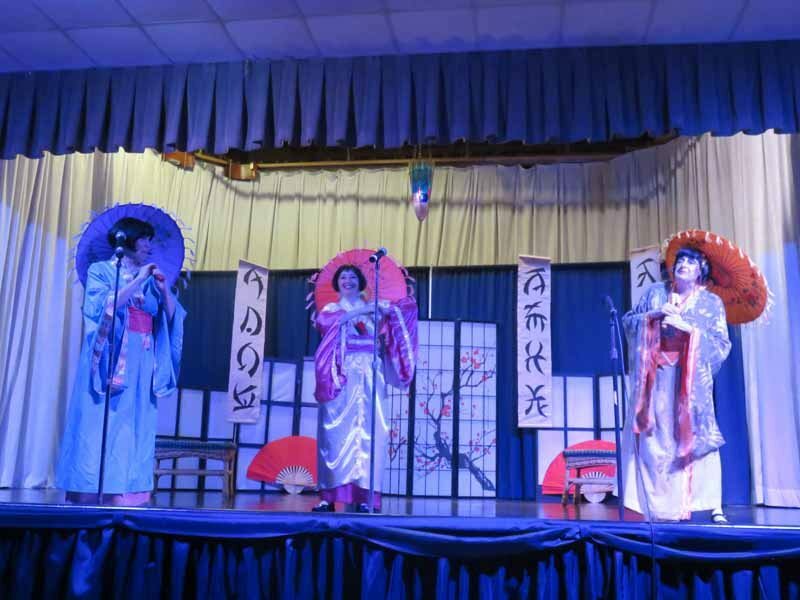 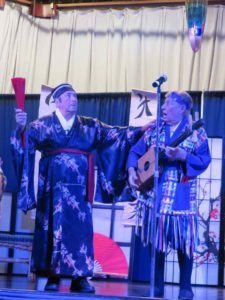 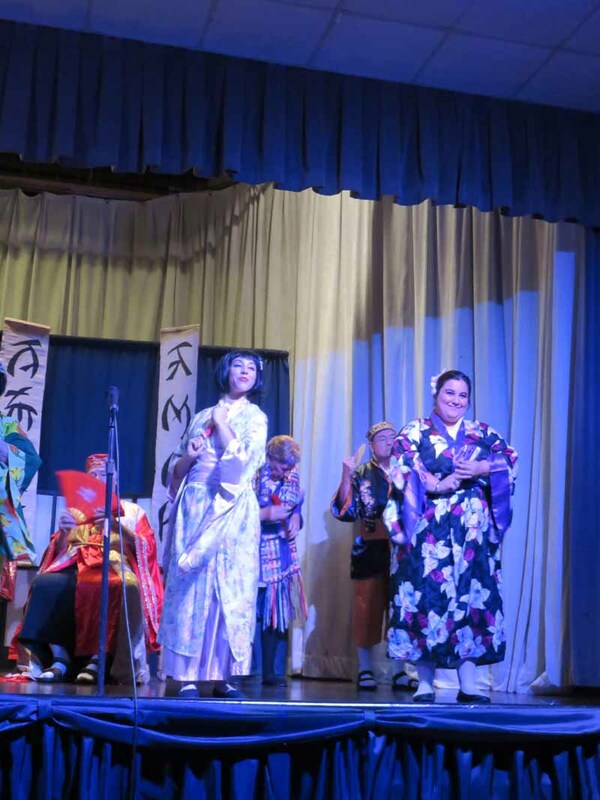 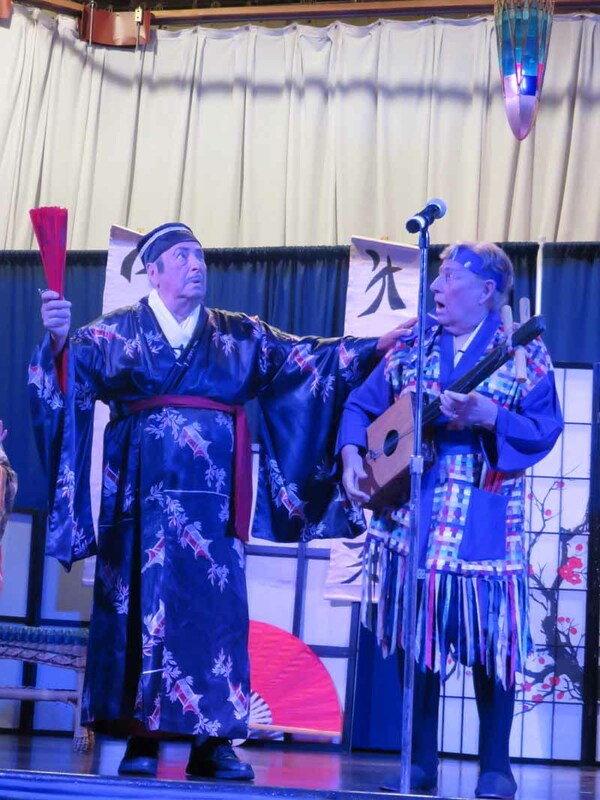 The production of Der Yiddisher Mikado is open to the public and will begin at 2 p.m. on Sunday, November 6, at Temple Beth-El of Great Neck at 5 Old Mill Road. To learn more or to purchase tickets, Temple Beth-El congregants can contact Debbie Elkashash at delkashash@tbegreatneck.org or 516-487-0900, Great Neck Synagogue congregants can contact Hilly Milun at gnsmensclub@gmail.com or 516-487-6100 and Temple Israel of Great Neck congregants and members of the community can contact Jodi Engel at jengel@tign.org or 516-482-7800. Tickets are also available at www.gnmikado.org. 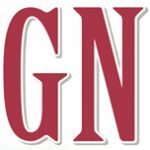 Read Great Neck Magazine here.